The Klamath River is a beautiful, pristine river that flows into the Pacific Ocean in southern Del Norte County. Set out on a two-hour trip from its estuary in a shallow-draft boat powered by twin jets, and enjoy this picturesque river from a comfortable seat onboard. 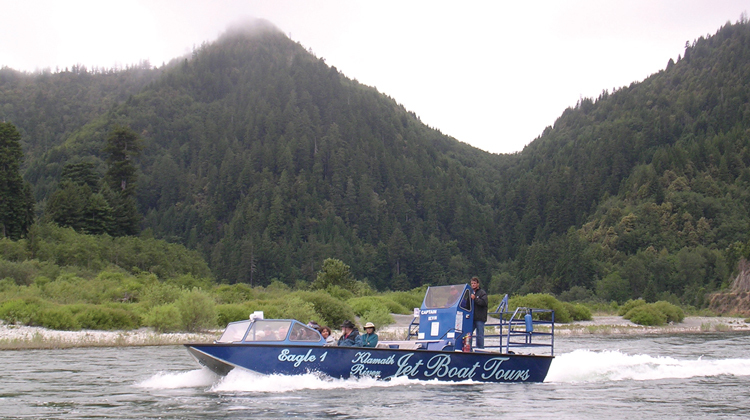 This round-trip tour is more than 45 miles, with the captain providing a fully-narrated river trip that touches on the Klamath River’s history, Native American culture and the area’s wildlife. View bear, osprey, hawks, eagles, black-tail deer and elk, all of which are found in the area. The jet boats will pause to allow for picture-taking. It can be cool in the morning and evening, so wear layers that can be shed in the afternoon warmth, and wear a hat and sunglasses. Tours are given three times daily between May and September. Reservations are recommended, but drop-ins are welcome. 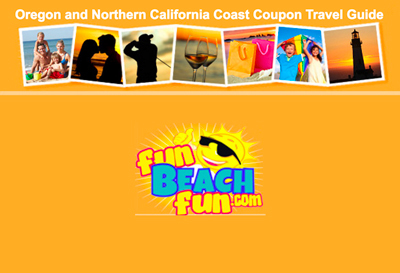 Personalized and group tours can be accommodated.